Course Description:This unit covers the conducting of fire team operations in resources and infrastructure industries. It includes the planning and preparing for work, fighting or containing fires and finalising operations. Objectives: This course aims at those who are aiming to become or are required to be a part of an Emergency Response Team. The members are required to provide the fire fighting capability in the resource and infrastructure industry. It aims at developing both individual knowledge and skills but then ensuring that operations are conducted as a team. 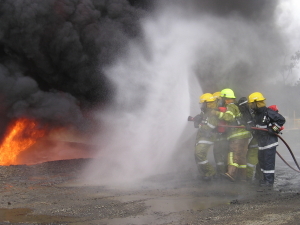 Fire Team Training is tailored to your worksite, equipment and procedures.